Germany’s Bally Wulff has launched several new packages for its domestic AWP machines in the LUX and Game Station range of cabinets. 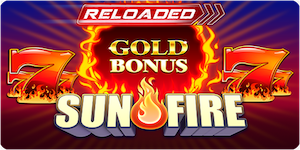 Named the Reloaded series, the packages are Shine, Reflection, Laser, Fire, Maxiplay and Maxiplay Select and they offer five new bonus games. The games conform to the new German TR5 technical standards. The company’s R&D department has skillfully added brilliant new colour effects into the game packages that have a balance of classic games and entirely new titles. Maxiplay Reloaded, for example, has a mix of 30 games with Maxiplay function and 35 classic games. Aruze Gaming has introduced the Happy Charm series of games, namely Tokyo Daruma and Tokyo Kitty, on the Muso Triple-27 cabinet. SuzoHapp has launched CashComplete Connect Retail Edition. IGT has announced that the latest addition to its True 4D family, Wheel of Fortune 4D Featuring Vanna White Video Slots, is now live on casino floors in the US.